Quote: "Phoenix residents are upset over a foul stench coming from Valley canals. Alyssa Shevlin lives along the canal near 7th Avenue and Camelback Road, and said there was an all-out foul stench coming from the water on Thanksgiving Day." Quote: "Political activists are calling for action after residents complained of a disgusting smell coming from the water at a little-known beauty spot. Whitley Reservoir, which is something of a hidden gem in the borough known mainly by those who live nearby and local birdwatchers, has been giving off a powerful stench which has alarmed residents." Quote: "At least one worker was killed and 11 others injured in an explosion and fire that broke out on Friday (Dec 1) at a chemical factory just a few kilometres from Mount Fuji in central Japan." Quote: "A passenger jet was evacuated on the tarmac at Toledo Express Airport early Friday afternoon when one of its engines began smoking after landing, the Toledo-Lucas County Port Authority said." Quote: "Birmingham Fire says 10 vehicles caught fire in a parking lot explosion that occurred outside of Xtreme Soundz in the 7300 block of 1st Avenue North." Quote: "A total of eight cars were burned during the fire as the flames spread to an apartment. Police said three to four units were 'badly damaged.'" Quote: "Firefighters were called to a Tug vehicle alight at the Port in Dovercourt. The vehicle, which is used to put the containers on and off the boats, was 25% alight when crews arrived." Quote: "South Carolina State guard Tyvoris Solomon was rushed to a hospital Saturday afternoon after his heart stopped during the Bulldogs' 103-71 loss to NC State." Note: It was a heartbreaking loss! Quote: "Heavy smoke from a fire caused alarm for many residents in Canton over the weekend. More than 100 vehicles burned at a salvage yard, creating thick smoke that could be seen for miles. The Van Zandt Fire Marshal’s Office confirms fire units responded to a fire at Myers Auto Salvage near Hwy 64 Sunday around noon." Quote: "Father Christmas and his two elves were forced to make a run for it after their grotto caught on fire." Quote: "A firefighter felt lightheaded and was also taken to the hospital as a precaution, DMFD said." Quote: "A fire gutted a large bicycle warehouse in Bang Pakong district early Saturday, destroying about 50,000 bikes and parts with damage of at least 30 million baht." Quote: "The all clear has been given at Cass Tech High School in Detroit after reports of a noxious odor. Detroit police and fire responded to the scene to investigate. Classes have resumed as normal." Quote: "Several residents in York County were asked to stay inside for some time Monday afternoon after scrap metal caught fire." Quote: "The aircraft Embraer ERJ-190 of Finnair landed by emergency in Turku airport after smoke odor on board. The airplane was en route from Helsinki to Swedish city of Gothenburg with 100 passengers on board, but during climbing passengers complained from smoke odor in the cabin. The aircraft diverted to Turku, where landed safely several minutes later." Quote: "Officials say one person has died in an auto accident related to the fire, but did not give any details." Quote: "Fire crews discovered a body inside an RV after extinguishing a fire at 148 Sugar Hollow Road in the Demory community early Monday morning. The Campbell County Rural Fire Service was dispatched to a fire that had been reported behind Demory Mart around 5:38 a.m., according to CCRFS Chief Daniel Lawson." Quote: "The wind-whipped fire exploded out of control overnight, burning more than 50,000 acres. More than 3,000 structures are threatened. Fire officials say 27,000 homes have been evacuated. The fire is at zero containment, and the burn area has almost reached the Pacific Ocean." Quote: "By early Tuesday, the fire was burning at a rate of nearly an acre per second. At that speed, it would have covered Manhattan's Central Park in about 15 minutes." Quote: "California Gov. Jerry Brown declared a state of emergency in Ventura County due to the fire." Quote: "Amid Santa Ana wind conditions believed to be the worst in a decade, a brush fire broke out Tuesday in the Kagel Canyon area above Sylmar and quickly raced across thousands of acres, forcing more than a 100,000 people from their homes and closing a stretch of the Foothill (210) Freeway and scorching 11,000 acres." Quote: "The blaze had charred approximately 200 acres by 10:45 a.m. and exploded to 5,000 acres by 3:15 p.m. Los Angeles County fire officials said containment is at 5 percent." Note: Good thing fire season is over! Quote: "It’s unclear Tuesday afternoon what caused two cars to catch fire in a parking garage at Orlando City Hall." Quote: "While it may sound a bit bizarre, some high school athletes at Carlisle Independent School District are having seizures, and nobody knows why. Carlisle ISD Superintendent Mike Payne said five girls experienced seizures within the last month. One of them has epilepsy, but he said they cannot figure out why the other girls had seizures. 'This was kind of disturbing to us," he said. "You'd think that, well, they're in the peak of health.' According to Payne, doctors said they were healthy and well to continue with athletics." Quote: "There are at least six active wildfires burning in Southern California right now. That’s nearly the total of all large December wildfires from 2000 to 2015, according to Cal Fire statistics." Quote: "If you look at the statistics below, they show a mere seven California fires that burned more than 300 acres when totaling December numbers from 2000 to 2015. The second lowest months were January and February with 11 such wildfires." Quote: "October’s wine country wildfires are now the costliest in California history, with insurance claims pegged at $9.4 billion. The latest estimate Wednesday from the state Insurance Department means the wine country fires have vaulted past the Oakland Hills fire of 1991 as the most expensive in California fire history. Oakland Hills generated about $2.8 billion in claims, when adjusted for inflation." Quote: "Air Force officials confirm that an F-18 made an emergency landing Wednesday at Barksdale Air Force Base. Witnesses near the base reported seeing black smoke coming from the back of the jet as it landed." Quote: "A small plane landed safely after a report of smoke in the cockpit, according to Palm Beach County Fire Rescue. The plane landed safely at Signature Aviation. Palm Beach International Airport spokeswoman Cassandra Davis said the plane, a Galaxy aircraft, landed without incident just before 2 p.m. Wednesday." Quote: "The fire destroyed seven vehicles and one carport, according to the fire department. Additionally, 10 vehicles and another carport were damaged." Quote: "Multiple patients were transported to a local hospital after complaining of a headache and nausea resulting from a foul odor at a Kaiser Permanente medical office in Rancho San Diego." Quote: "The stench has bedeviled some neighborhoods for several months. 'My son woke up this morning throwing up. I woke up My wife woke up. It was just disgusting,' said Joe Lanzo, who said the stench in his neighborhood near Desert Vista High School seemed to start between midnight and 4 a.m. and hang until at least 9 a.m."
Quote: "A body was found Thursday morning after a fire in a clothing donation box in the Uptown neighborhood on the North Side, according to Chicago Police. About 7:15 a.m., firefighters extinguished the blaze in the box in the 1500 block of West Wilson and discovered the body in the remains, police said. Area North detectives are conducting a death investigation." Quote: "A woman died when a car caught fire under mysterious circumstances here on Thursday. Police sources said that a car was found burning on Tando Muhammad Khan Road in the limits of Hosri. However, a woman inside the vehicle was burned alive." Quote: "Police Commissioner Delroy Richards told The Consortium that the aircraft, a private chartered plane, took off from the St. Croix airport and soon after starting experiencing engine problems, with flames coming from one of its two engines. The pilot circled back and attempted to land at the airport, but the plane crashed in a field area near the runway, leaving all occupants, including the pilot, dead, Mr. Richards said." Quote: "A brush fire driven by gusty winds that have plagued Southern California all week exploded rapidly Thursday north of San Diego, destroying dozens of trailer homes in a retirement community and killing race horses at an elite training facility. The fire expanded to 4 square miles (10 square kilometers) in a matter of hours and tore through the tightly packed Rancho Monserate Country Club community in the small city of Fallbrook, known for its avocado orchards and horse ranches. At least two people were hospitalized with burns." Quote: "School leaders at Park Hill South High School, 4500 River Park Dr., decided to dismiss early Friday after a mysterious odor forced students and staff out of their classrooms and into the commons area." Quote: "Six students who didn’t feel well from the chemical odor went home even before dismissal." Quote: "Residents of St. Simons Island have been complaining of foul odors around a major intersection. Utility officials point the finger at gases building up in the sewer pipes and leaking through a manhole in the road." Quote: "Commission deputy director Andrew Burroughs says a high concentration of sulfides in the wastewater system is one of several possible causes for the strong odors. He says chemicals could be used to mask the smell or eliminate its source." Quote: "Thomas Fire grows to 143,000 acres. Containment remains at 10%. The fire continues to move north into Los Padres National Forest. The fire has transitioned from a wind-driven fire to a fuels-driven fire, fire officials said at a Friday evening press conference." Quote: "Employees and some firefighters were able to evacuate the majority of the trucks and other equipment inside the garage, but one truck was destroyed." Quote: "A dead man has been found behind a building off Central Parkway in Fairview on Saturday night. The man's body was badly burnt when he was found. Fire crews responded to a call to the location on reports of a fire. Crews discovered the man's body upon arrival." Quote: "The Greenwood County Coroner's Office is investigating after human remains were found in a burned car. Coroner Sonny Cox said his office was called to Old Hastings Road in Ninety Six around 5 p.m. on December 8. At the scene was a vehicle that had been completely destroyed by fire." Quote: "The engine of a British Airways plane burst into flames while taking off a runway at an airport in Arizona, forcing the packed aircraft to make an emergency landing." Quote: "Residents called government hotlines, and theories swirled online. Could it be military operations? An explosion? A meteor? Supersonic jets? Half a dozen government agencies all had the same answer Saturday: We don't know, but we didn't do it." Quote: "Devastating wildfires have become 'the new normal' in California, Gov. Jerry Brown said Saturday while touring Ventura County – the fire ravaged area where one woman was found dead." Quote: "City fire officials say crews responded to the city’s Brighton neighborhood on Sunday morning for a report of a manhole explosion. Five Massachusetts Bay Transportation Authority manholes were on fire, three of which exploded." Quote: "A blaze has destroyed a Massachusetts town's highway department building, leaving the area without trucks for snow removal. Sandisfield Fire Chief Ralph Morrison said Sunday the building is a 'complete loss.' Four highway department trucks were lost in the fire. No injuries were reported." Quote: "Just over a year ago, on November 20th, 2016, the town of Tolland which borders Sandisfield had their DPW headquarters destroyed in a fire. It left them in the same situation." Quote: "The fire damage was to a large metal building, 2 mobile homes, and 3 cars." Quote: "The fire, which sent a plume of smoke into the sky, destroyed the hay barn as well as a pickup truck, camper and horse trailer Sunday." Quote: "The massive brush fire prompted evacuations for parts of Montecito, Summerland and Carpinteria Sunday morning as the blaze grew from 155,000 acres to 173,000 overnight, then hit 230,000 later Sunday. It also impacted electrical lines in the area, leaving at least 85,000 Santa Barbara residents without power." Quote: "A man biting his fellow passengers on a JetBlue flight forced the plane to divert to Las Vegas, where the man was taken into police custody. Passengers on the flight say that somewhere over Utah, the man suddenly began biting his seatmates – whom he apparently knew – and hitting others on a Sunday flight from Los Angeles International Airport to New York-JFK. Doctors on the flight tried to help by examining the passenger, but were also attacked. Another passenger said he jumped in to help restrain the man." Quote: "A Dannevirke businessman says a highly toxic odour wafting across his business yesterday made him sick and he was forced to close his business and tell staff to stay at home. 'I've been sick, vomiting, had diarrhoea and dizziness and it's because of the stinking, toxic stuff drifting over my business from the council's sewage ponds,' Ben Lund told the Dannevirke News yesterday morning." Quote: "And although he thought the offensive smell was coming from the Tararua District Council's sewage ponds, the Dannevirke News has been told this isn't the case. But the council has offered no explanation for the odour, which was also smelled by district mayor Tracey Collis." Quote: "Dallas Fire-Rescue spokesman Jason Evans said Monday evening that the fire consumed a large pile of metal made up of various items such as cars, appliances and other scrap." Quote: "However, on arrival the officer in charge confirmed there were in fact 6 cars well alight at the scrapyard and requested a further fire appliance attend, which also came from Newton Abbot. At 07:06hrs this attendance was again increased by 2 fire appliances, which were mobilised from Torquay and Paignton, together with a Command Support Unit from Totnes." Quote: "The alarming odor of gas left some residents scrunching their noses in downtown Los Altos last week. The Santa Clara County Fire Department – joined by PG&E – responded to reports of the smell after receiving multiple calls beginning at approximately 8:32 a.m., according to department spokeswoman Luisa Rapport. 'Both County Fire and PG&E monitored the area for an hour and a half and never got any reading on their monitors,' she said of their failure to detect a gas leak." Quote: "After 90 minutes, the smell dissipated and firefighters and PG&E cleared the scene. The cause remains unknown." Quote: "A man has been taken to hospital after an explosion at a metal yard in Portsmith. The 41-year-old man was taken to Cairns Hospital and remains in a stable condition. Fire crews continue to battle a blaze engulfing scrap metal stockpiles at Sims Metal on Comport St."
Quote: "A Butte warehouse went up in flames late Tuesday morning, destroying the building. The smoke billowing from Ray’s Heating & Sheetmetal on East Front Street was so thick that Butte firefighters who made the initial attack on the fire could not find the source of the flames." Quote: "The Thomas Fire grew to 236,000 acres Tuesday and officials said they expect the blaze to continue to expand this week, according to a nightly update from Cal Fire." Quote: "The Rochester Fire Department responded to a car fire involving one of its own Tuesday afternoon. Rochester Fire Chief Mark Klose’s new command vehicle, a black 2017 Chevrolet Tahoe, ignited around 1:04 p.m. Tuesday while the chief was driving back to the fire station following a lunch break, according to Assistant Chief Mark Dupuis." Quote: "A possible natural gas odor hung over parts of Canton and northern Stark County on Wednesday, prompting dozens of calls from concerned residents and puzzling investigators trying to pinpoint the cause. Dominion Energy Ohio technicians and city Fire Department personnel were not able to find any gas leaks." Quote: "There were more people outside that were noticing it than inside. There was nothing we could find. Even though you could smell it, we couldn’t pick it up on our monitors." Quote: "Students who were being taken to Dobbins Elementary School in Poland were diverted to the high school Wednesday morning because of a mysterious odor in the building." Quote: "Officials say they may have ruled out carbon monoxide. The root cause has not yet discovered. McMinn County Mayor John Gentry described the incident as an 'exposure.'" Quote: "The Athens Fire Department and Athens Utility Board went to the scene and tested the building for gas leaks and carbon monoxide. After multiple tests, no signs of any leaks were found." Quote: "The incident was caught on surveillance video, but officials said they can't pinpoint the cause." Quote: "A gym in Hamden was evacuated on Thursday after patrons said they could smell natural gas. The Edge Fitness was evacuated around 2:30 p.m. Hamden Fire Department crews were called to the scene to investigate. Meters used to determine natural gas levels in the area reported nothing measurable, according to Gary Merwede of Hamden Fire. Officials do not know yet exactly where the smell was coming from." Quote: "A mysterious explosion was heard in West Bengal's coastal town Digha on Thursday afternoon, triggering panic among tourists and residents, police said." Quote: "A couple of loud explosions were heard off the coast in Digha on August 26 that shattered window panes of some seaside hotels and cracked a few walls." Quote: "The fire that filled the eastern sky with heavy black smoke this morning didn't cause any injuries but burned multiple vehicles and started a pile of tires on fire." Quote: "Do you smell an odor of gas in your neighborhood? Several areas in and around Rancho Cordova and Folsom are plagued with an odor Friday, according to reports. Metro Fire officials said they have received calls about the smell of gas from various locations from Bradshaw Road in Rancho Cordova to Bass Lake Road in El Dorado Hills." Quote: "PG&E has responded to 100 calls of the odor, but officials have determined that there are no apparent issues with any lines, crews said." 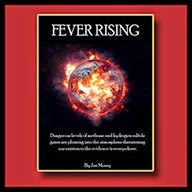 Quote: "The smell covered a 20-mile radius from Rosemont to Bass Lake and eventually into Folsom." Quote: "'At this point we’re confident that there is no hazard, there’s no danger to the public (and) that the source is not in the area,' Vestal said." Quote: "Canton City health department officials are trying to determine the source of an odor reported by nearly a dozen residents Friday morning. Terri Dzienis, administrator of Air Pollution Control at the Canton Health Department, and Linda Morckel, monitoring and inspections supervisor, were meeting about 10:30 a.m. to address the issue after the health department began receiving reports. Initially, they had heard reports of a natural gas odor in the city over the last few days, but the health department had not received any complaints until Friday morning. Reports of the smell also came in from as far away as North Canton and Jackson Township." Quote: "Dominion Energy said it got more than 100 calls about a natural gas smell. Crews investigated, but could not find a smell or cause." Quote: "'He was dead before he burned,' he said, assuming the man suffered a sudden, acute problem before tumbling into the fire pit." Quote: "An ambulance helicopter caught fire while landing in the Florida Keys Friday morning, officials said. The Trauma Star chopper was en route to Coral Shores High School for a trauma transport when it caught fire around 7 a.m., Monroe County officials said." Quote: "A car caught fire Friday morning on Interstate 95 in Miami-Dade County. Sky 10 was flying above I-95 about 6:30 a.m. as heavy flames filled the car, which was stopped on the shoulder in the southbound lanes near Miami Gardens Drive." Quote: "Another car fire a few miles north in Broward County was blocking all eastbound traffic on Pembroke Road near Palm Avenue." Quote: "A furniture store has been destroyed after a small car fire behind the building and off the property quickly spread and caused firefighters to pull a second alarm, according to the Houston Fire Department and the business owner." Quote: "A strong 6.5 magnitude earthquake rocked the Indonesian capital Jakarta and other cities on the country's most populous island of Java, killing an unknown number of people. There were reports of collapsed buildings and authorities issued a tsunami warning for parts of Java's coastline after the quake struck. People ran out of buildings in panic in many areas and Indonesian television showed heavy traffic on roads as people left coastal areas. Deaths were reported, according to Sutopo Purwo Nugroho, a spokesman for the country's National Disaster Mitigation Agency. He could not immediately provide details on how many had been killed. There were also reports that buildings had collapsed in the city of Tasikmalaya in western Java and in several other districts." Quote: "Rocky Reyes lives on Niles and Fairfax, and was frightened when he heard the boom. 'Something's going on and nobody knows what it is and it's gonna be exposed soon because it's happening everywhere.' But until then, the mystery continues." Quote: "Santa Barbara County has issued new evacuation orders as a huge wildfire bears down on Montecito and other communities. The Office of Emergency Services announced the orders Saturday as winds pushed the fire close to the community, a wealthy enclave that’s home to Oprah Winfrey and other celebrities. The mandatory evacuation zone is now 17 miles (27 kilometers) long and up to 5 miles (8 kilometers) wide, extending from coastal mountains northwest of Los Angeles to the ocean." Quote: "The blaze has the potential to become the biggest fire in state history, as it is not expected to reach full containment until January 2018." Quote: "California fires really are the new norm as five of the most destructive fires in the state's history happened in 2017 and a further 7 countries recorded their largest wildfires during this year." 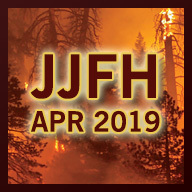 Quote: "California’s state firefighting agency is within days of spending more to fight fires in a single year than ever before, and the fiscal year still has six months to go." Quote: "At a media briefing Sunday night, Reed confirmed the outage was a result of a rare electrical fire in an underground Georgia Power substation at 1:06 p.m."
Quote: "Borchard said the truck that caught fire was not used Sunday, it was last used on Saturday. No one was in the garage in the 3200 block of Sheridan Avenue when the fire started." Quote: "A car burst into flames early Sunday morning, destroying the vehicle and damaging two nearby homes. No one was injured in the fire that happened shortly after 4 a.m. at 37-39 Mansfield St., said Dennis G. Leger, Springfield Fire Department spokesman." Quote: "In a community alert, the company said the leak occurred about 4:55 p.m. and didn’t pose any health risks, though it did produce a noticeable odor. But Andrew Krowne, a Northridge resident who developed a cellphone application for those within 18 miles of the facility to report health issues, said 34 people reported symptoms including headaches, nosebleeds, and burning of the eyes and throat." Quote: "Despite assurances from state officials that air emissions from a recent oil well blowout in Fort Bend County pose no danger, residents say fumes from the spill are making them sick. 'Something is going on out here. I can't breathe. I'm coughing all the time and I feel like I'm smothering,' Coca Dawson said. A resident of nearby Quail Glenn subdivision, Dawson babysits her 2-year-old grandson during the week and voiced concerns he was also getting sick." Quote: "Residents near the site complain of a foul smell that causes headaches, nausea and burning eyes, reportedly caused by Hydrogen Sulfide emissions from the blowout. Students and teachers at Blue Ridge Elementary School, located less than four miles from the site, have also reportedly voiced concerns about the air emission." Quote: "Silsbee High School has been cleared and students are returning to class after an 'unfamiliar odor' caused an evacuation. Spokesman Daniel Elizondo said the building was checked by the Silsbee Fire Department and no leaks or other issues were found." Quote: "Elizondo said the source of the odor is unknown, but it's been determined that isn't hazardous." Quote: "The 'strong smell' of gas has been reported in Whitchurch, Cardiff, to Merthyr Tydfil, Nanatgarw and Pontypridd." Quote: "Hundreds of people have reported a smell of gas across of wide area of south Wales. It seems to be located in Pontypridd and Treforest, Rhondda Cynon Taff, but Wales and West Utilities received more than 700 calls from north Cardiff to Merthyr Tydfil. South Wales fire service said checks at Treforest and Troedyrhiw industrial estates had not revealed anything. Wales and West Utilities said the smell was not from a leak in its network." Quote: "Our engineers are visiting affected areas, but there are no readings of gas in the air and this smell has not been caused by a leak from our gas network." Note: Calm down, people, it's not natural gas, it's just poison gas! Quote: "Mystery surrounds a ‘loud explosion’ heard in part of Swansea. Tracy May reported hearing the loud bangs at around 1.30am in the Waunarlwydd area. She said: 'Does anyone know what the loud explosion sounds were early hours of this morning (01:30) near Waunarlwydd.'" Quote: "Two people have died and three more were treated in hospital after a fire took hold in a luxury hotel on the banks of Loch Lomond, Scotland. More than 200 guests were evacuated from the Cameron House hotel, near Balloch, as firefighters battled for about 12 hours to bring the blaze under control." Quote: "La’Devin Allen woke up early Tuesday morning with his arm on fire." Note: Was it his arm itself or did his clothing or bedding burst into flame? Quote: "Riverside city firefighters extinguished a fire that spewed smoke from an underground tunnel near Riverside City College on Tuesday evening, Dec. 19, officials said on Twitter." Quote: "An army bomb disposal vehicle caught fire as it was tasked to a scene by the PSNI. The MOD confirmed it was on the way to a scene and caught fire." Quote: "Flames ripped through Diko's Auto Shop, and later spread to a boat repair shop on Wright Street, leaving the businesses in charred ruins. Workers in the auto shop rushed to take cars out, but the fire quickly overpowered their efforts." Quote: "One moment, he was a 46-year-old hockey-playing oilfield worker connecting a hose to a valve at a rural Saskatchewan production facility in February 2014. The next, his face was sprayed with a mixture of oil, water and gas. He inhaled and swallowed it. His medical records show that soup was laced with hydrogen sulphide (H2S), a toxic gas that carries risks to the human body ranging from burning vocal chords and olfactory senses to causing instant death. Three years later, Crawford’s body struggles to complete its most basic tasks: chew food, swallow, taste, smell, speak properly, breathe clearly and sleep soundly." Quote: "A corrosive gas that is fatal to humans in high concentrations is a non-toxic substance under Canadian environmental law, say federal researchers in a new proposal. Staff at Health Canada and Environment and Climate Change Canada came to this conclusion in a draft assessment of hydrogen sulfide, published in September. The proposal found that the gas, also known as H2S or sour gas, does not enter the environment in quantities, concentrations or conditions 'that constitute or may constitute a danger in Canada to human life or health.'" Quote: "Their conclusion is at odds with the substance’s track record — in the last five years alone, H2S has killed at least one oilpatch worker, sickened dozens of others and left livestock dead in a pasture in a small corner of Saskatchewan." Quote: "City and county officials have launched a coordinated effort to track down the source of an on-again, off-again stench that returned to Ahwatukee with a vengeance late last week. Led by city Office of Environmental Programs, several Phoenix departments are working with freeway developer Connect202Partners, Southwest Gas and the Maricopa County Air Quality Department to track the odor that has been plaguing a portion of Ahwatukee intermittently since August. 'You can’t even go outside,' complained Ahwatukee resident Joe Lanzo on Saturday, Dec. 16. 'It is actually seeping through the walls like a large sulfur smell.'" Quote: "Three weeks ago, during the previous air quality alert, the stench was so bad that Lanzo said his son woke up vomiting." Quote: "One of the biggest climate stories of the year was the seemingly never-ending stream of disastrous wildfires that engulfed the West." Quote: "Is Mumbai burning? As Khairani Road fire claims 12 lives, a look at major infernos this year..."
Quote: "Emergency officials in Devils Lake are investigating after a body was found inside of a burning car outside the Walmart parking lot. A representative with the Devils Lake fire department says they were called out to the scene around 5:40pm Wednesday. When firefighters arrived the car was fully engulfed in flames." Quote: "A fire that appears to have started in a Frederick auto repair shop early Wednesday morning damaged three businesses and 29 vehicles, according to Frederick County fire officials." Quote: "The inferno appears to have started from a vehicle in the basement parking lot of the gym, located in the Southern city of Jecheon, according to local outlets. What exactly sparked the fire however, is unclear." Quote: "A vehicle in the first-floor parking garage seemed to be the source of the blaze, the state-run news outlet Yonhap reported, citing local fire officials; the fire then appears to have spread through the building that housed a gym, restaurant and public sauna." Quote: "The fire broke out inside of a service area at Pat Milliken Ford on Telegraph Road just south of Plymouth Road in Redford Township. Owner Brian Godfrey said a night guard called 911 after commercial cargo van caught fire in the garage." Quote: "A vehicle fire spread to a Beverly Hills home early Thursday morning, destroying several vehicles and much of the residence. Firefighters with Citrus County Fire Rescue were dispatched at 1:07 a.m. to 25 N. Melbourne St., where crews from the Pine Ridge Station arrived at 1:14 a.m. to find three vehicles on fire within a few feet of the house, which was already partly on fire, according to a fire rescue report." Quote: "Two motorbikes, a quad bike and several cars were destroyed in a garage fire in Appleby Close in the early hours of this morning, Thursday." Quote: "A United plane that departed IAH was forced to make an emergency landing in College Station Thursday night after smoke was reported on board the aircraft." Quote: "The Thomas Fire has now burned more acres than any previous wildfire on record in California, and there are no signs of a pattern change that would deliver beneficial weather for battling the blaze." Quote: "On Friday evening, CalFire reported that the Thomas Fire has grown to 273,400 acres and was 65 percent contained." Quote: "A family of five was displaced after a fire that started in an SUV spread to their house early Friday, a Gwinnett County fire official said." Quote: "Fire crews from Albrighton and Telford were called to a fire on the eastbound carriageway between junction 3 and junction 2 at around 9pm on Friday. One saloon car was found to be well alight and fire fighters took 30 minutes to extinguish the flames. Just an hour after leaving the scene firefighters were called once again after a second car caught fire on the westbound carriageway between junction 2 and 3." Quote: "Around 2:30 a.m. police say the Kaukauna Fire Department was headed to a possible fire on the Fox River near Holly Court. When they made it to the scene they found a car on fire on the railroad tracks along the Fox River with skeletal remains inside. Officials say the tracks are not in use." Quote: "The person inside likely died in the fire, said Lt. Joe Resch. The car had not been hit by a train." Quote: "Thirty-seven people were believed killed in a fire that engulfed a shopping mall in the southern Philippines city of Davao, the local vice-mayor said on Sunday. A bureau of fire protection commander at the scene said the chances of the 37 surviving were 'zero', according to Paolo Duterte, the vice-mayor, who is also the president’s son." Quote: "The Wichita Fire Department is on the scene of a garage fire in the 500 block of north Clara Ave on Sunday morning. The Battalion Chief says the fire started in the van that was parked in the driveway. They don't believe it was running at the time. The fire spread to the garage, causing damage to the outside including the roof." Quote: "A car fire Sunday in the Pullman Square parking garage in downtown Huntington caused a brief evacuation of Marquee Cinema and some restaurants and stores near the theater on Christmas Eve." Quote: "The discovery of a body inside a recreational vehicle in the 10000 block of Aha Macav Parkway on Friday evening is being investigated by the Clark County Fire Department. Fire department personnel arrived to find the RV on fire." Quote: "A new study by the Norwegian Environment Agency has indicated a record high concentration of methane in the atmosphere, which may have far-reaching consequences, the national broadcaster NRK reported." Quote: "The driver of the bus, who was detained earlier in the day, said as quoted by the Russian Investigative Committee that 'the bus, while being at the bus stop, suddenly began to move on its own. At the same time, despite his attempts to stop the bus, the braking system malfunctioned and the bus continued to move.'" Quote: "Christmas Day disaster as a girl, 7, is found unconscious and foaming at the mouth in the water at a Sydney beach - a year after a man died at the same lagoon." Quote: "Two days before Christmas reports of a natural gas leak spread throughout the South Bay. Calls went out to 911 emergency services in El Segundo, Manhattan Beach and Hermosa Beach." Quote: "Professors Doug Capone, PhD, and Jed Fuhrman, PhD, said what people might be smelling is hydrogen sulfide associated with several possible sources such as oil seeps or rotting seaweed." Quote: "Iron Mountain firefighters were called at 4:20 p.m. Tuesday to investigate a possible natural gas odor at a business on the 1400 block of South Stephenson Avenue. They determined the odor was sewer gas coming from a floor drain and there was no problem, so they returned to the station at 4:40 p.m."
Quote: "A man was killed after flames broke out in an RV in Brevard County Tuesday morning. Brevard County fire and rescue crews along with Cocoa Fire responded to the blaze just before 2 a.m. Officials said the fire along State Road 520 and Penny Lane was heavily involved." Quote: "A man has died after he burst into flames on a street in Hull, England on Wednesday, two weeks after London police issued a call for witnesses of another similar incident." Quote: "Some residents said they heard what they believe to be a loud explosion Wednesday night near the Mars Bluff community of Florence County. A couple of people said they heard a loud boom, following by their houses shaking." Quote: "Wednesday 27 December, 8.25am Fire in underground power cable, Loudhams Wood Lane, Little Chalfont. One appliance and crew from Amersham attended. Firefighters used a dry powder extinguisher." Quote: "A FexEx cargo plane safely landed at Dayton International Airport following a report of a fire on board the plane, according to an airport spokeswoman." Quote: "As of now, investigators believe the fire was started in a box truck parked inside the warehouse, and investigators say it was an accident. The damage estimates are up to 3.5 million dollars." Note: People still park vehicles near homes?! Quote: "Firefighters and the state Department of Environmental Conservation are trying to find the source of a natural gas smell that has been reported in the Middle Falls area in recent days. Firefighters from Middle Falls and Greenwich have been called out in recent days by people who noticed the odor. The Washington County Department of Public Safety and Middle Falls Fire Department posted about the situation on Facebook on Friday morning, telling readers that it has responded to calls about the odor, but not located the source. The smell has been most evident in the early morning, when air is heaviest and coldest, keeping vapors from rising." Quote: "Police have confirmed that the body found at the scene of a burning car was a woman in her 30s. Officers were called to Hixberry Lane, just outside St Albans, yesterday (Thursday, December 28) at 9.33am to reports of a car 'well alight' and discovered the body. Investigators are not treating the death as suspicious at this stage and a file is being prepared for the coroner." Note: Excellent, it's always best when people burn to death unsuspiciously! Quote: "Described by some as sounding like an 'explosion', it was heard by residents in Cranborne Road, Southgate Road, Sunnybank Road, Oakmere and Little Heath, with one person claiming it even reached St Albans. A police spokeswoman told the Welwyn Hatfield Times that they had received no official reports last night. Some people claimed on social media that it may have been a sonic boom, but a Ministry of Defence spokesman confirmed no operations were being held in the area last night." Quote: "The public works and volunteer fire department burst into flames shortly after lunch." Quote: "North Sea Lane, Humberston. Fri 29 Dec 2017 17:22 (No:27891) Small electrical sub station involved in fire. 2 dry powder extinguishers in use and Thermal Image Camera. Power supply isolated and left in care of electricians." Quote: "Around 4:00am HFD responded to a car fire and found heavy flames coming from a pickup truck and a house, which eventually spread to two more cars. According to the Home Owner, he and his wife and another adult male were all asleep inside, when the wife heard the alarm on the pickup truck. They looked out and saw the pickup truck on fire under the carport, next to the house. All three got out safely, and they stated how quickly it spread. It caught the house on fire and two other vehicles. The house is a total loss. No injuries. Lots of flames." Quote: "A garage was heavily damaged by fire Friday night after a four-wheeler inside it caught fire."